It’s one thing to come to terms with the closings of restaurants and stores, but hospital and healthcare center closings are a whole other issue. After losing St. Vincents hospital in April and an option for urgent care — several new options have come into light to serve both emergency and non-emergency medical needs in our area. Downtown Hospital has announced plans to open a “Wellness and Prevention Center” in the fall, which will help to provide preventative healthcare for the downtown community. The new facility will be located at 83 Gold Street on the first floor of Downtown Hospital. Some of the services provided include echocardiography, mammography machines and 15 examination rooms. The staff of 8-10 will include hospital doctors, nurses and other medical professionals and can serve 2,500 patients a year. All insurance plans will be accepted, and for those without insurance — payment options will be offered. The construction for this new facility is slated to be completed by the end of this month for services to commence in the fall. Funding for the wellness center was provided by the hospital, State and Â Lower Manhattan Development Corporation, with total funding equalling $11.4 million dollars. Part of the State funding has gone into the construction and expansion of labor and delivery services, including a newborns intensive care unit — a service lost to Lower Manhattan after the closing of St. Vincents hospital in April. 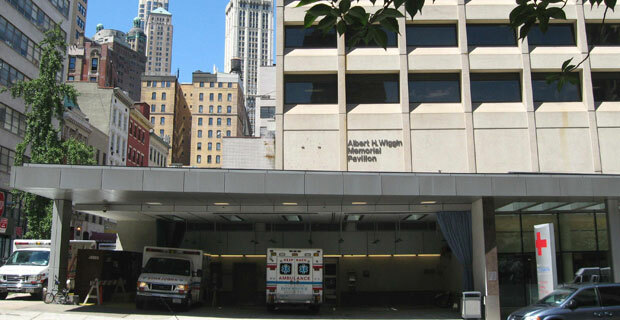 The LMDC has also allotted $2.5 million towards expanding M.R.I services for Lower Manhattan patients as well. The radiology center will also be located on the first floor of the hospital. Another emergency medical services option has also popped up, albeit a private one. Pinnacle Emergency Medical on 200 Chambers Street has a 24-Hour on call ER physician services as well as walk in medical care during their open office hours. That facility will also open in the fall on September 27. As for the former site of St. Vincents Hospital, a new medical facility was slated to move into the location — but has hit a snag in opening the facility this summer. An urgent-care center that was anticipated to open this month at the former St. Vincent’s Hospital in Lower Manhattan has been delayed and its operators are searching for other sites because of leasing disagreements at the bankrupt medical facility. All in all, good news for the health of Lower Manhattan residents and our community.